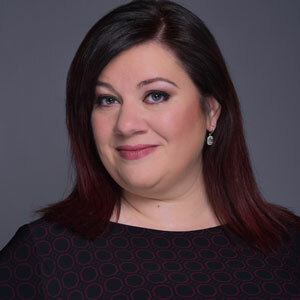 Stephanie Ruggles, contralto, a St. Louis native, holds a Bachelor of Music Education from the University of Missouri-Saint Louis and a Master of Music in Vocal Performance from Washington University. She has performed with Union Avenue Opera, Washington University Opera, and The St. Louis Chamber Chorus. She currently is the assistant principal alto of the American Kantorei and performs in the Bach at the Sem concert series at Concordia Seminary. Most recently, she sang the roles of Sally in Samuel Barber’s A Hand of Bridge, Trio Mezzo in Bernstein’s Trouble In Tahiti, and The Third Lady in an abridged version of Die Zauberflöte with the STL Opera Collective. An active music educator, she teaches middle school vocal music and is an instructor for the Opera Camp for Kids! at Opera Theatre of St. Louis.